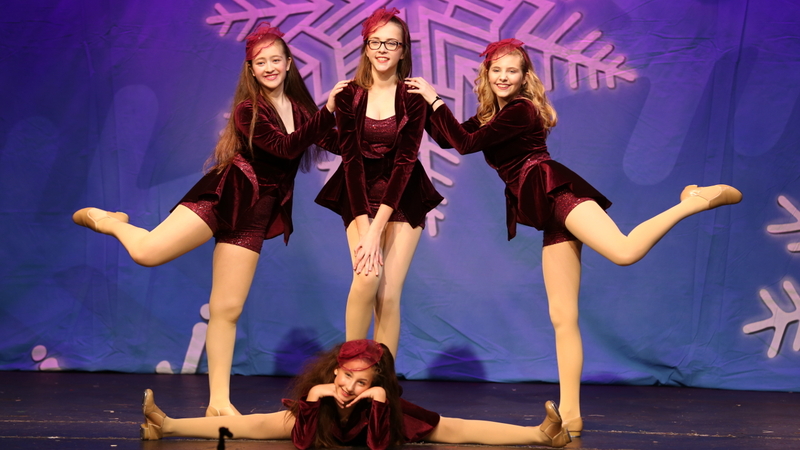 Palatine Dance will present two performances of “How the Grinch Stole Christmas” at 4:00pm and 7:00pm on Saturday, December 1 at Cutting Hall Performing Arts Center, 150 E. Wood Street, Palatine. Throughout each performance, Cindy-Lou Who, Max the Dog, and even the Mouses will be tapping, leaping, and turning to help the Grinch find the true meaning of the season. The cast for the show includes participants from the Palatine Park District holiday classes, members of the Advanced Adult Tap class, and Palatine Dance Company groups including Company Prep, Mini Company, Junior Company, Intermediate Company, Teen Company, and Senior Company. Tickets are $8 per person, free for ages 2 and under, and can be purchased through the Cutting Hall Box Office at 847.202.5222 or cuttinghall.org. Additional ticketing fees may apply for online orders. For more information on these performances or Palatine Dance, visit palatinedance.org or contact Cultural Arts Coordinator Ashley Schiavone at 847.496.6237 or aschiavone@palatineparks.org.